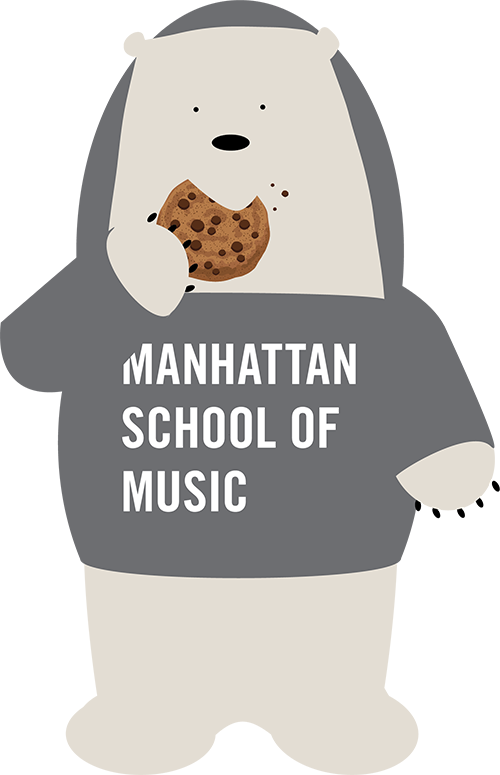 Instrumental chamber music is a vital part of study and performance at Manhattan School of Music. Almost every classical instrumentalist is required to take part in chamber music at some point in each degree program. Chamber Music Society of Lincoln Center, among others. Our resident ensembles, American String Quartet and Windscape, also coach and give seasonal performances. Master classes given by distinguished artists are available to chamber groups by audition or nomination from the chamber music faculty. In addition to more traditional ensembles, Baroque Aria Ensemble is offered in fulfillment of one semester of instrumental chamber music. Pianists may earn chamber music credit from participation in standard chamber groups, two-piano teams, instrumental accompanying class. or vocal accompanying. Students are assigned to ensembles by their department chair in collaboration with the director of chamber music. Students are encouraged to submit individual or group requests to participate in a specific type of ensemble, as well as to request specific chamber coaches. Performance is a key element of the chamber music program. The Lillian Fuchs Chamber Music Competition takes place each semester; groups are invited to audition based on faculty nominations and the winning ensembles perform in a special public concert held in Greenfield Hall. Most other groups perform in the Chamber Music Festival, which takes place towards the end of each semester. For more information, including who is required to take chamber music, and the semester overview, along with Faculty members, please see the Chamber Music Handbook.